Beer Appreciators are always looking for something new to sample – and usually prefer to stay in the local area. And why not? Outside of the obvious convenience of being 20 minutes from a freshly poured craft beer – we need to support our local breweries, and local economies. Plus – it’s nice to identify with a brand that is close to you. 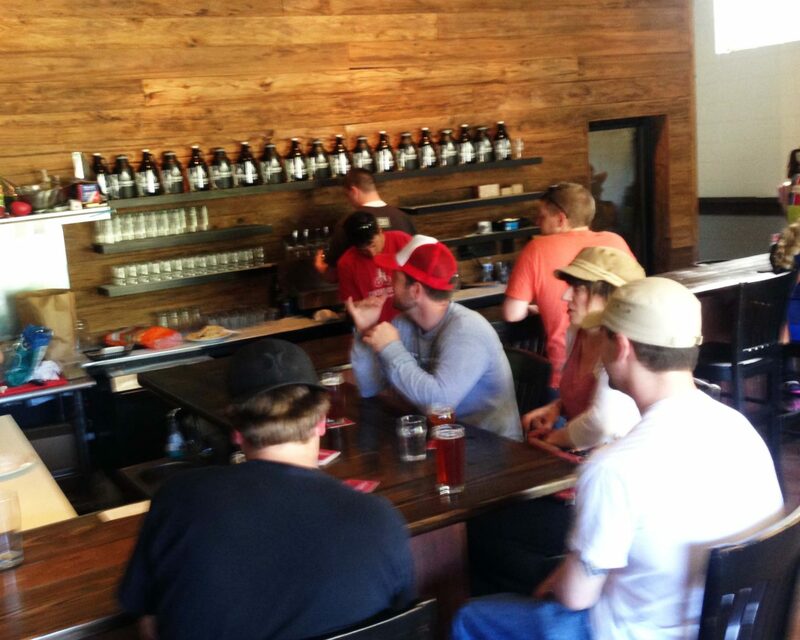 Unfortunately, in some cases – even with all that going on, trying out a new brew or tap room can be a disappointing experience. Sometimes the beer is not consistently good, or the styles are too predictable. Maybe the surroundings are a bit too unfinished or industrial to be that comfortable – or perhaps driving out to an industrial park in the middle of nowhere is not that compelling. This is where the genius of Conshohocken Brewing is on clear display – The beer is really good, consistent – with interesting styles and versions (Cascadian Dark, a terrific ESB, ferkins available, some wood additions, etc.). Brewed by Andrew Horne (ex-Yards brewer), you can tell this is a real brewery that knows what it’s doing. And a 15 bbl brew house is a large enough system to get things done. The tap room itself is positioned on the bike path going up the river with an entrance on the path and on Elm street. Plenty of cyclists and people out for a walk or run can just stroll in the back door for a flavorful craft beer. And while not overly appointed, the place is well finished, with some decent food basics – and it emits a pleasant vibe that is a mix of beer geeks, hipsters and plain old neighborhood folks. 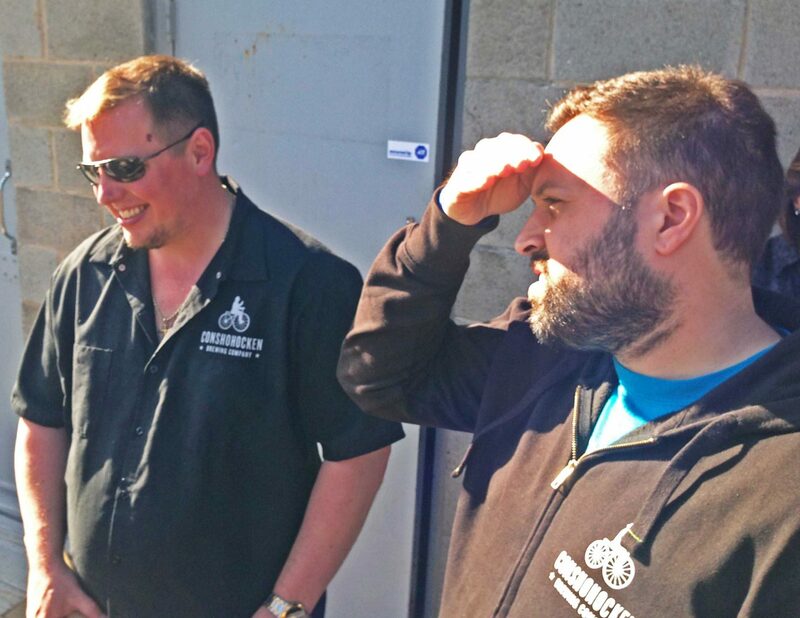 Co Founders Ken and John – the future looks bright! A little while ago home brewing friends Ken Buonocore and John Remington wouldn’t quit their day jobs (and still haven’t yet) but formed an LLC to start a brewery. 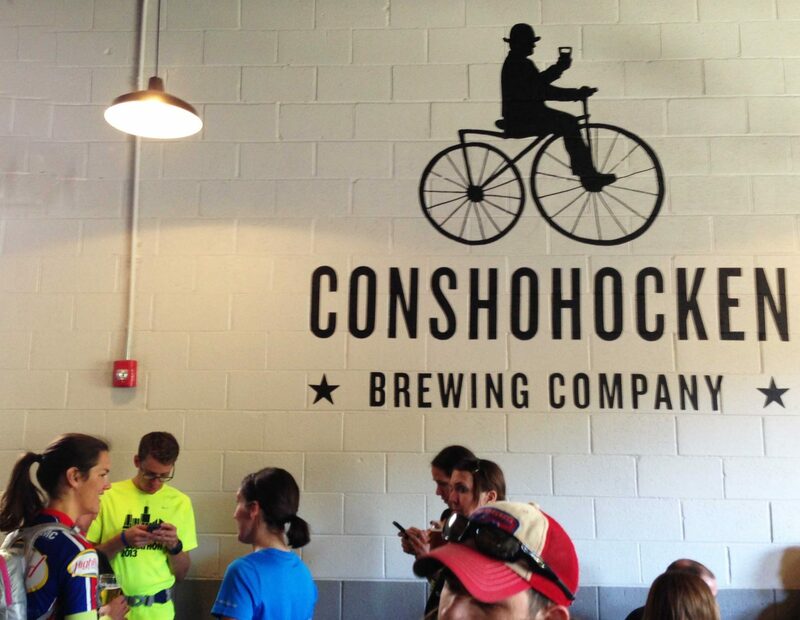 With the help of their attorney they found a group of willing investors – and Conshohocken brewing was born. After brewing for a while, they opened their Tap Room on April first. You can often find Ken and John hanging out at their place – chatting with the patrons, and pouring pints. “We just hired a full time tap room manager” Ken told me the other day. “We have exceeded our goals, and have even run out of space for cold storage. We have to get more space down the street”. As for the tap room: “We plan to add more food, but the beer is clearly what people come here for.” A recent addition to the tap room staff is Ken’s fiancee – who just got her degree and is working in the tap room for now. I asked Ken if she keeping her eye on him – he said sort of – “but I am just happy that I can now go home on a Saturday night before 2am – now maybe I get home before her….”. Ken and John are running all over the area doing craft beer events, beer dinners and tastings. Keep your eye out for them – and look for them at Philly Beer Week Events – starting with the “Deck Opening Party” at the Rose Tree Restaurant on Saturday the 31st, and then an event just about every day. I look forward to the Dinner on Friday June 6th with brewery investor Glen Macnow at Kennett downtown. If you are looking for a cool place to watch the game, or want to set a goal for a power walk down the Schuylkill – drop by Conshohocken and enjoy the quality.